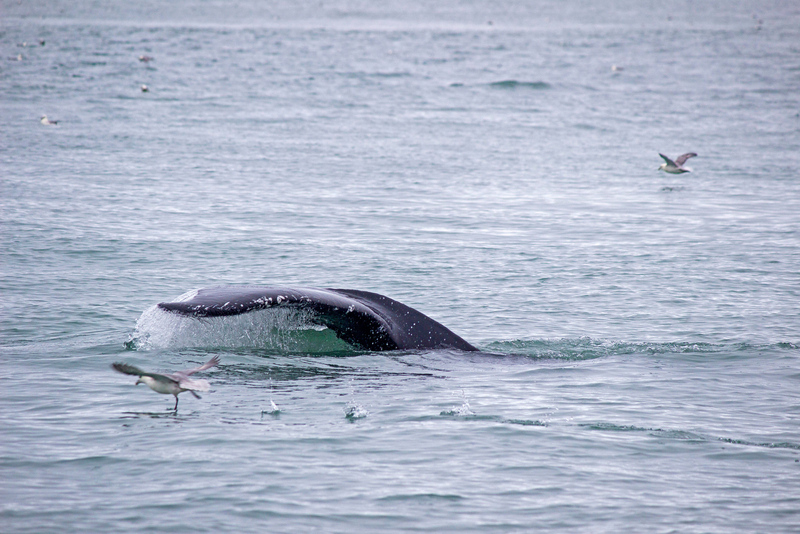 Husavik is one of the best places in Iceland to go whale watching. We were about halfway through our two-week journey around Iceland when we reached the sleepy town of Húsavík. 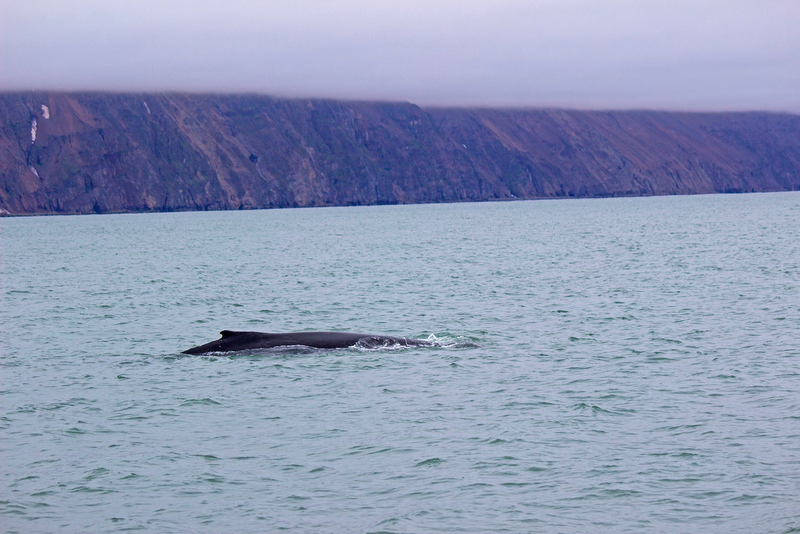 Our primary reason for traveling to Husavik was to embark on a whale watching tour. 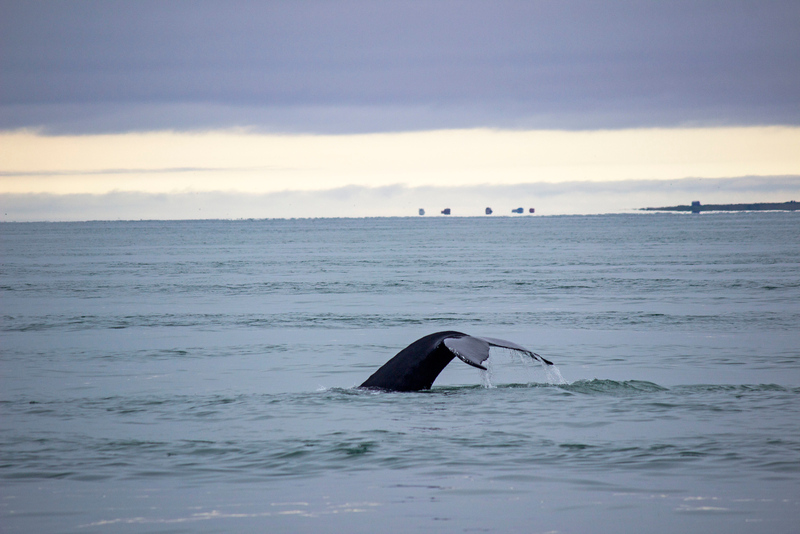 Did you know that Iceland is one of the top 10 places in the world to go whale watching? 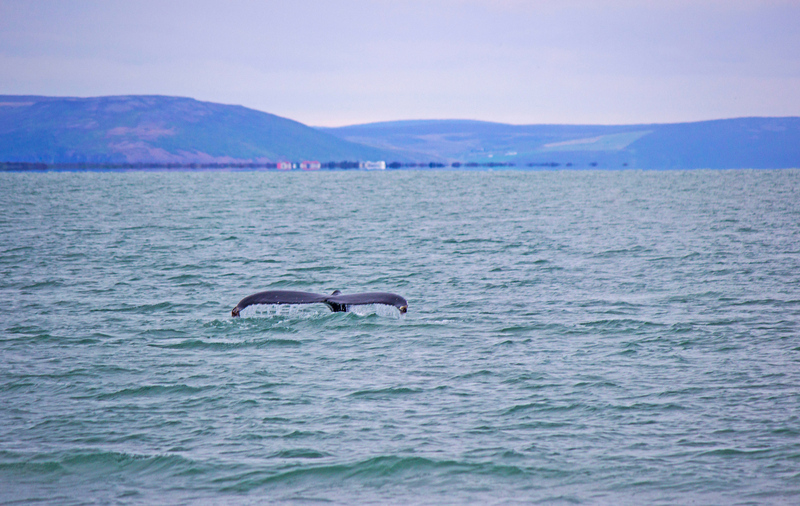 In fact, you have the best chance of seeing whales in Husavik more than any other place in the country. 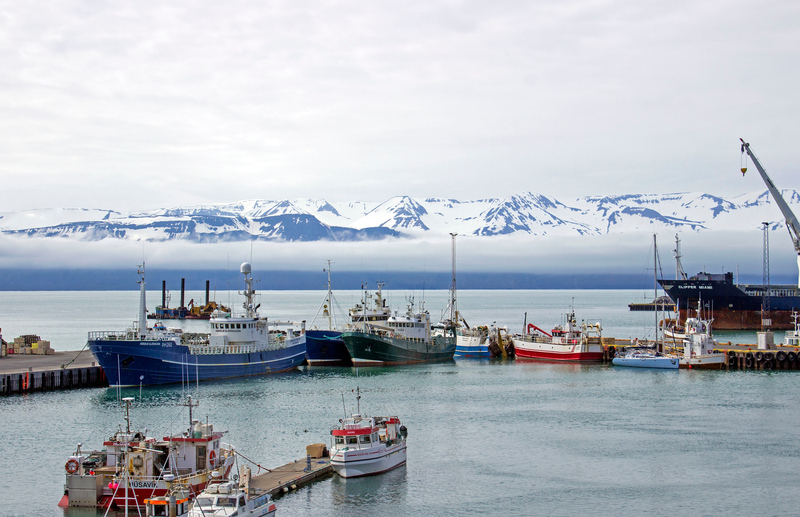 Husavik is branded as the “Whale Capital of Iceland.” For our Iceland whale watching trip, we chose an excursion with North Sailing in Husavik. 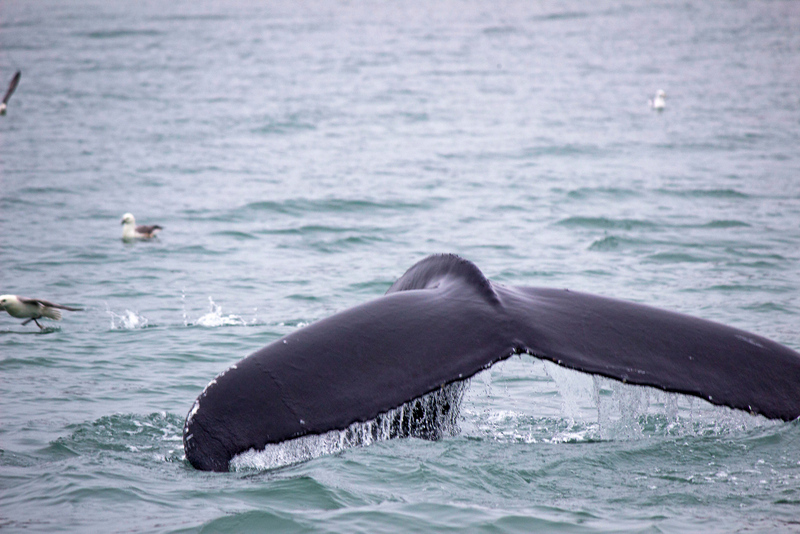 Have you ever taken a whale watching tour before and where? 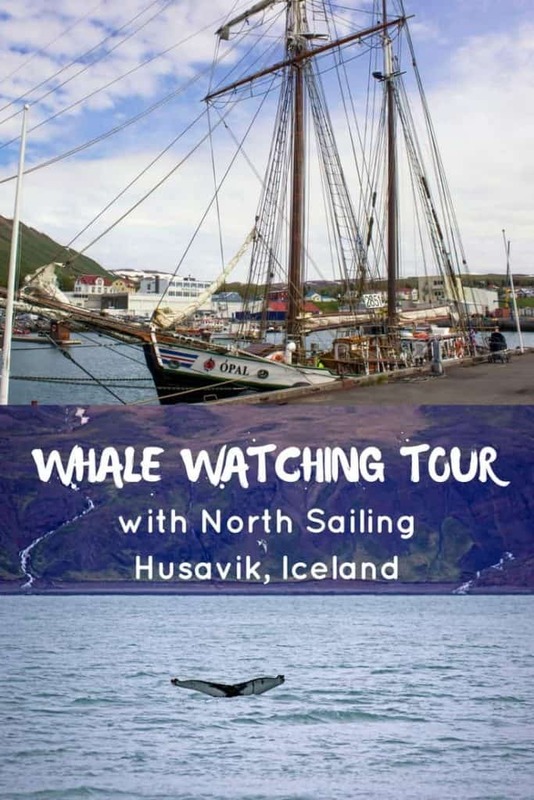 Although there are several whale watching companies in Husavik, we booked our tour with North Sailing. Why did we choose this company over the others? North Sailing emphasizes a positive experience for both people and the wildlife. 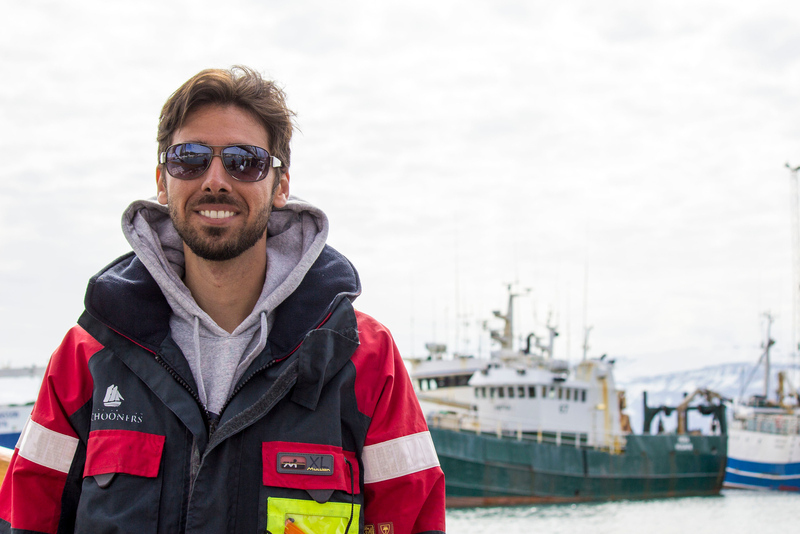 They use methods that minimally disturb whales and birds that we observe at sea. For instance, while searching for whales at a distance of 3000 meters or less, the ship’s captain and crew avoid making sudden speed changes or excessive noise. At all times, they assess the behavior of the cetacean and determine whether or not the animals are showing any signs of distress. At 300 meters or less, they avoid following behind the cetacean and never approach directly from the front. The crew will also stop the main propeller and only approach cautiously while parallel to the animal. If the cetacean swims towards the ship at 50 meters or less, they will stop the propeller and not re-engage it until the whale is far from the vessel. And of course, no one is to ever touch, feed, or swim with the cetacean. You have the option of booking one of the several carbon neutral sailings with North Sailing. Naturally, we chose the carbon neutral sailing as we’re always searching for the most environmentally-friendly experience. North Sailing’s ship, Opal, is the first ship in the world with a Regenerative Plug-in Hybrid Propulsion system. This means that the Opal runs entirely on renewable energy. Furthermore, this electric boat is virtually noise free. As sound travels four time faster in water than in air, the noise created by large boats carries over long distances. Noise can drive whales away from their feeding sites as they rely largely on sound for communication. It can also cause calves to become separated from their mothers. To keep noise to a minimum, North Sailing uses wooden ships with slow propellers, operating under a specific speed limit. As Opal is a quiet ship, the whales are minimally disrupted and the guests on board feel even closer to nature. 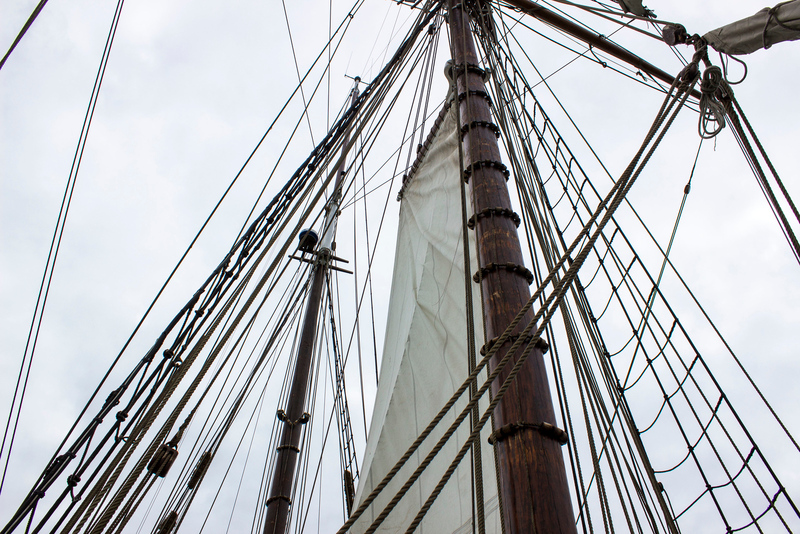 Their ships are salvaged and restored from old oak vessels. Materials are reused and recycled, right down to the company’s restaurant, created from driftwood found in North Iceland. North Sailing aims to be completely carbon neutral by the year 2020. The company owns two electric cars, and the food in the restaurant is sourced locally. The company itself is owned and operated by a local family spanning three generations (soon to be four generations!). 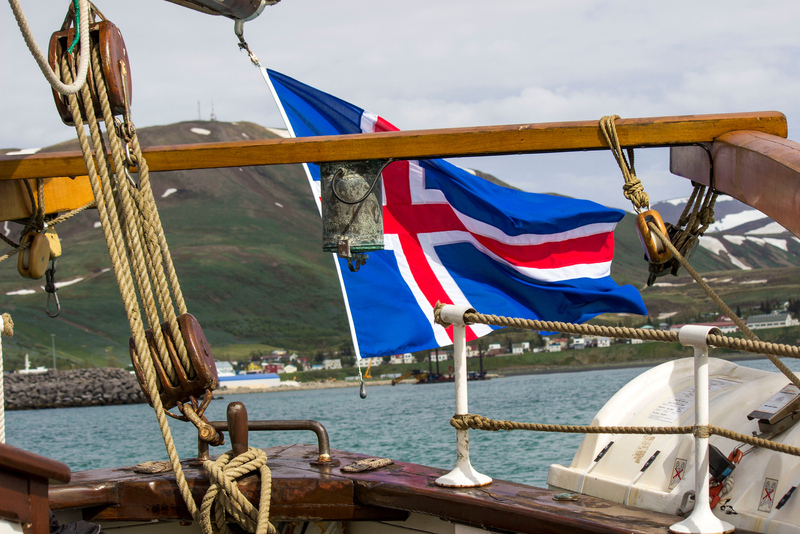 Our Iceland whale watching tour with North Sailing was called Whales, Puffins and Sails. 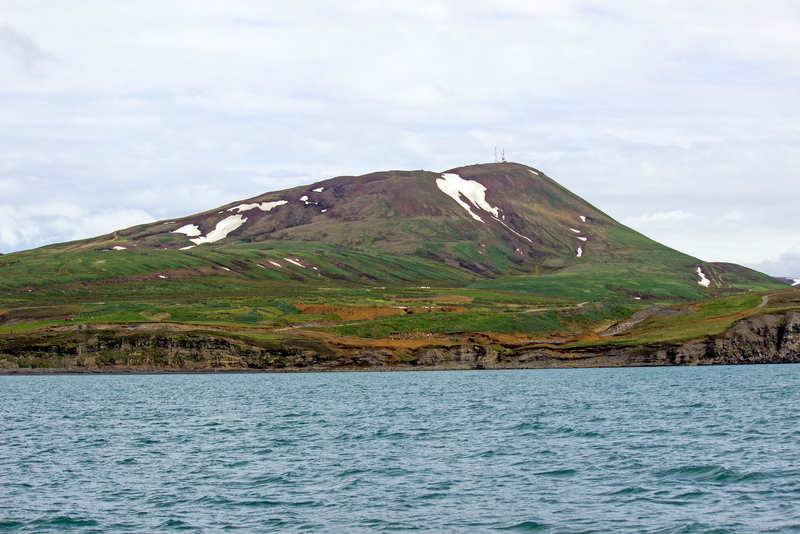 It was a four hour journey at sea, from the Husavik harbor to a region just below the Arctic Circle. From May 1st – August 20th, visitors will be able to see both whales and puffins. After August 20th, puffin season is over for the year and you’ll enjoy four hours spotting whales at sea. There’s an excellent chance that you’ll see many whales on your trip. The odds are incredibly in your favor. In the summer, there’s nearly a 96% chance of spotting whales. In the winter, there’s a 92% chance of viewing whales. Those are pretty great odds! In Skjalfandi Bay, you have the chance to see the following species: Minke whale, Humpback whale, White beaked dolphin, Harbour porpoise, Blue whale, Fin whale, Northern bottlenose whale, Killer whale (Orca), Sei whale, Pilot whale, and Sperm whale. 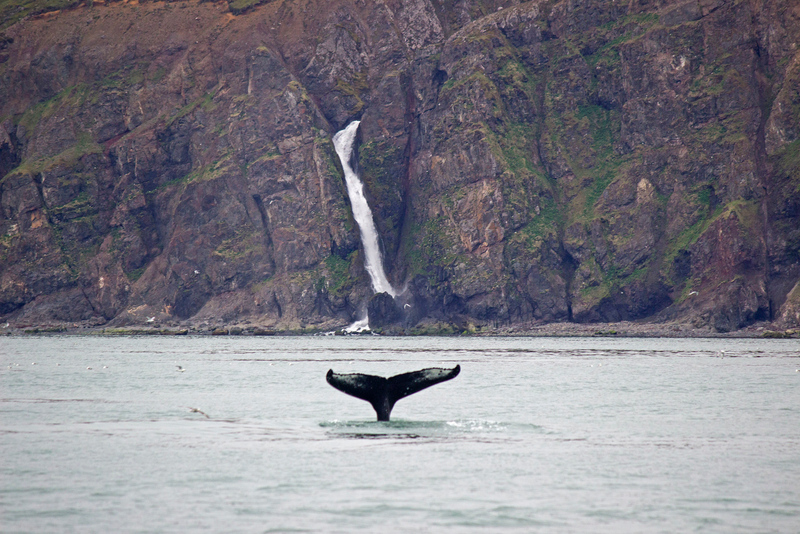 You can learn more about the whales of Skjalfandi Bay, including their sounds, at the North Sailing website. 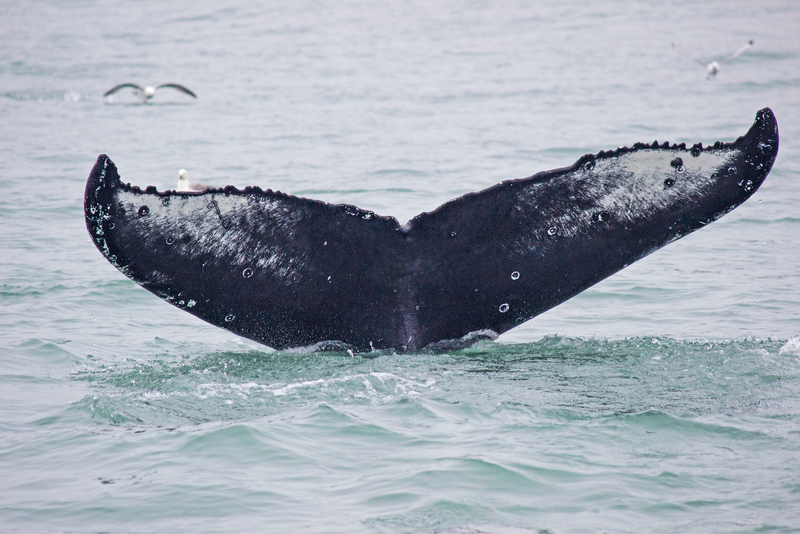 There are also dozens of species of birds to see during whale watching tours. 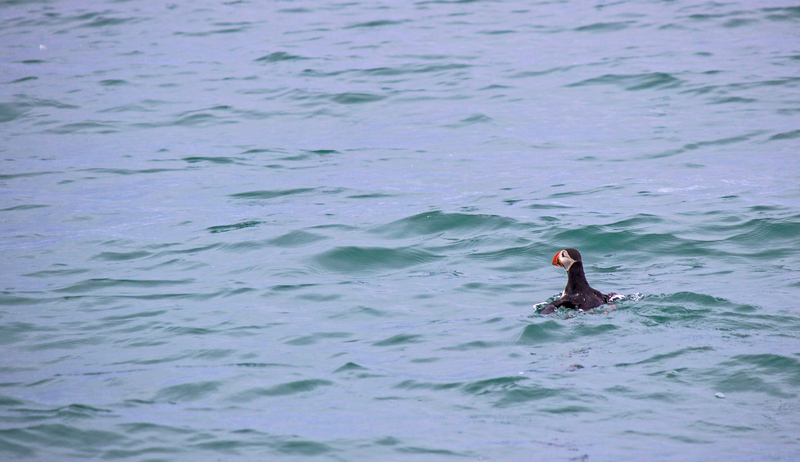 The main one we were seeking was the puffin. 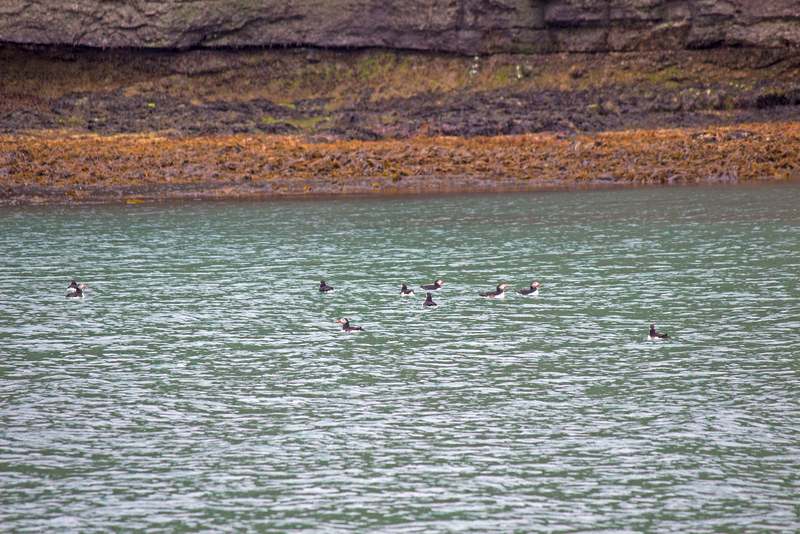 Thankfully, we were set to sail right past Puffin Island where I was sure we’d spot some of these adorable little friends. Thinking that you might be a little chilly out there at sea? 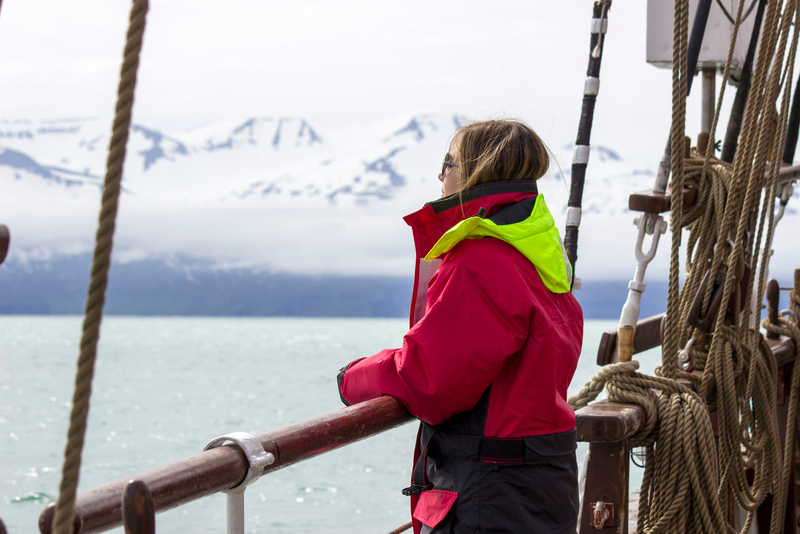 North Sailing provides all guests with warm, winter clothing, from head to toe. Bring a hat, gloves, and a scarf just in case as it can be quite windy and chilly out on the water. 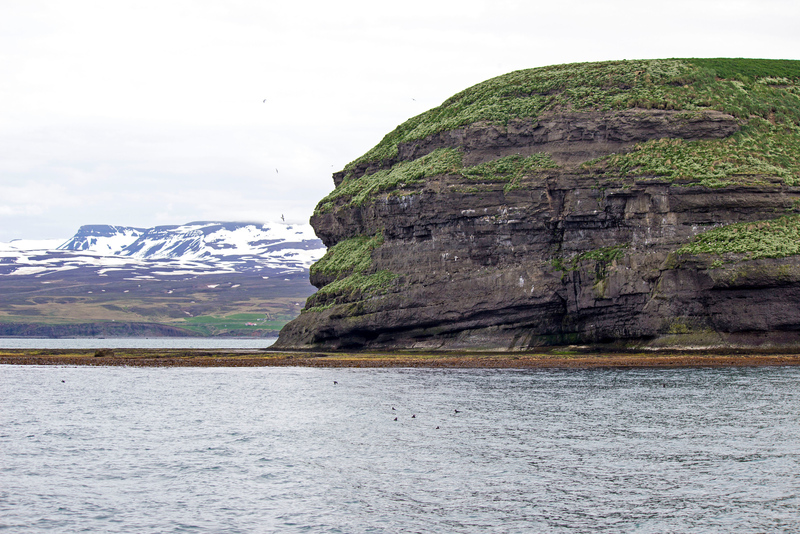 As we departed from the harbor, Justin and I viewed some of north Iceland’s most spectacular scenery. Iceland is a vast beauty from every angle. We enjoyed views of distant, icy mountains coupled with lush, rolling hills. 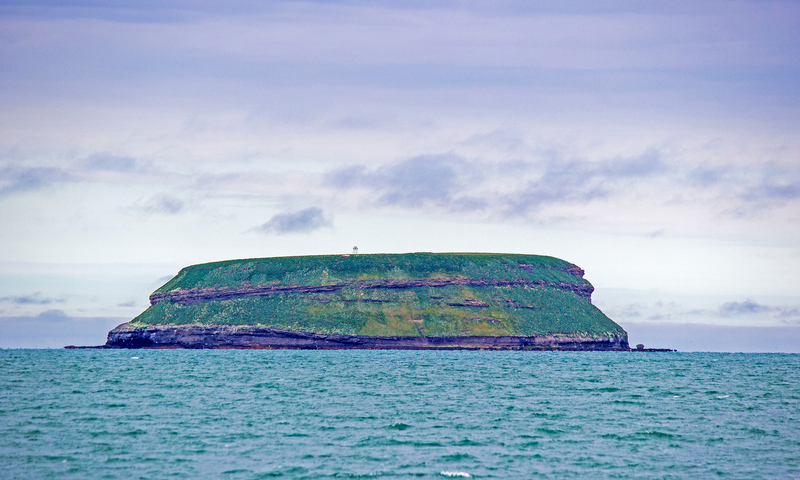 The first notable sighting (besides the gorgeous scenery) on our Iceland whale watching tour was Puffin Island. 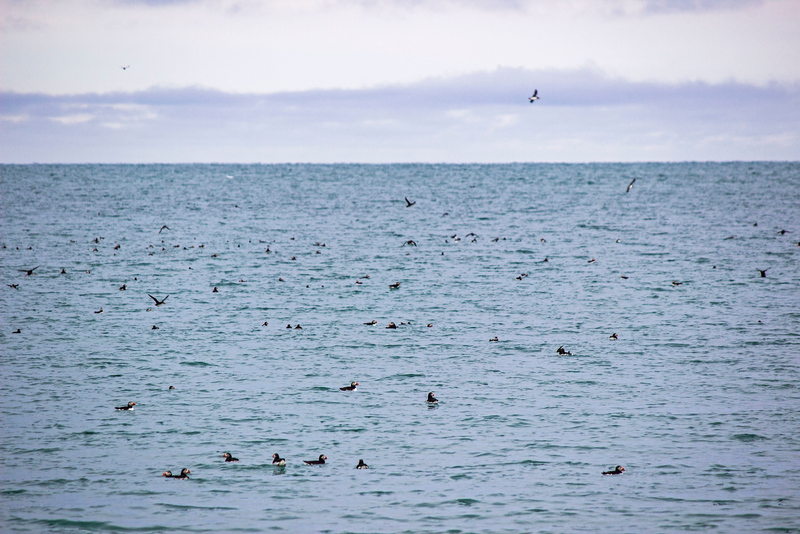 It’s exactly what it sounds like – an island of puffins! It’s a breeding site for these tiny birds, and we saw hundreds of them. They were nesting on the island and swimming around in the water. We watched them as they propelled themselves off the surface of the water with a forceful flap of the wings. 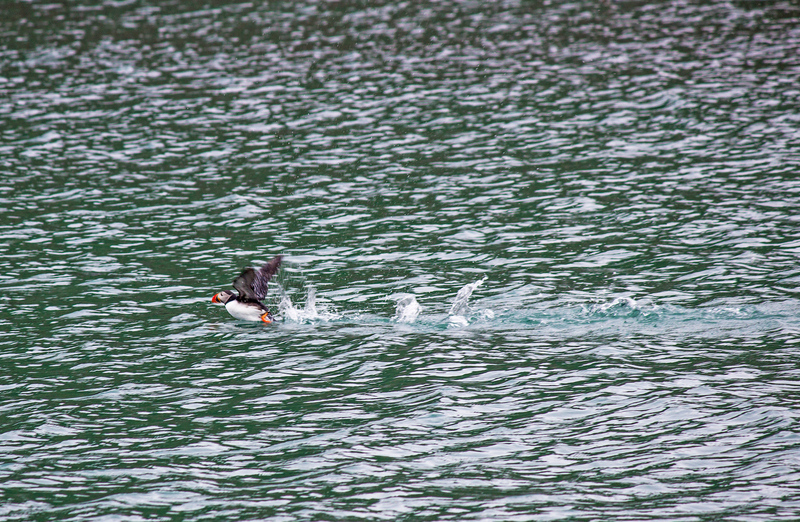 Spoiler alert: this wouldn’t be our only time spotting puffins in Iceland! 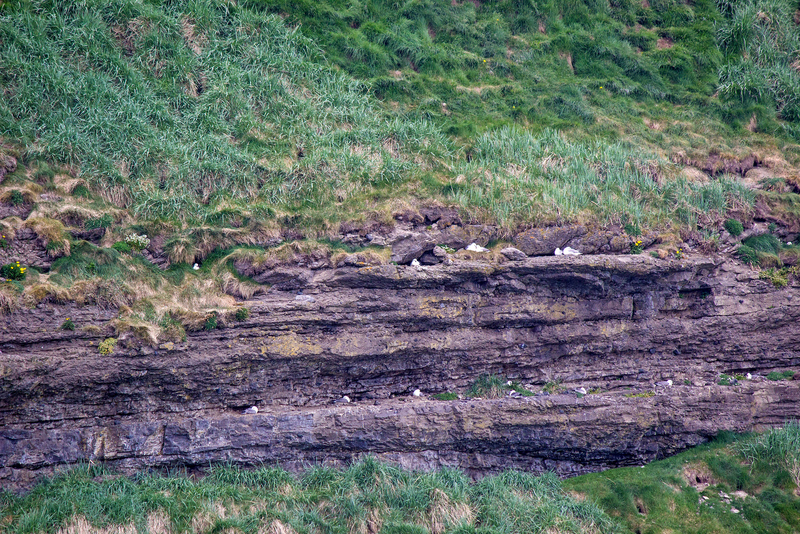 Tip: If you want to see the puffins and other species of birds even closer, be sure to bring a pair of binoculars. It seemed like we were drifting along and looking for whales for quite some time. I kept looking out to sea, and nothing. Every once in a while, I’d hear a crew member announce that they saw a porpoise. Every time I looked out, I missed it. You need to pack your patience when going whale watching. Then, all of a sudden, I saw it. My first whale sighting. A black mass rose just above the surface of the water. Water vaporized into the air. This gentle creature drifted along with his back barely protruding from the sea. In an instant, he was gone. Not even a minute later, an announcement from the crew informed us: “Look at 1 o’clock.” We were notified of whale sightings this way. The guests on board the Opal raced to the other side of the vessel. Another majestic whale slowly made herself known, silent and strong. 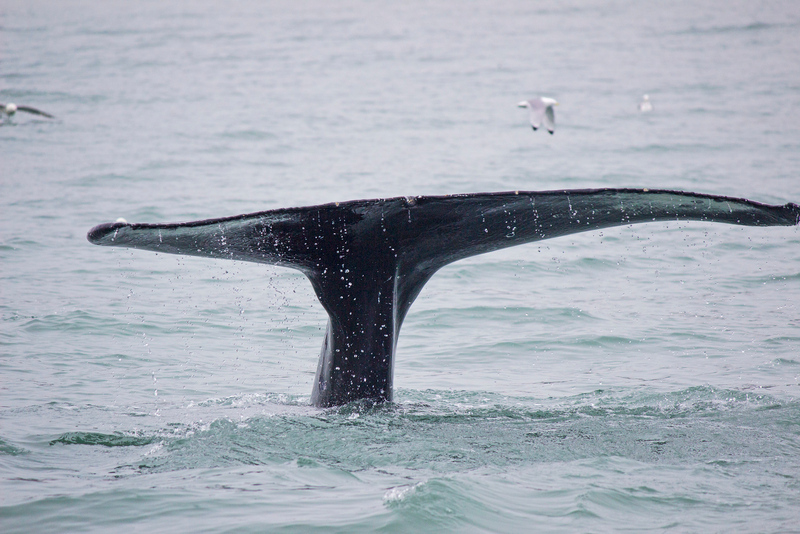 She plunged down into the depths, bidding us farewell with a final flip of her tail fin (otherwise known as a fluke). From that point on, I could barely contain my excitement. Whales were appearing and disappearing all over the place. From one minute to the next, another would materialize, emerging from the sea. I couldn’t believe that I had ever worried that we’d never spot a whale. They were everywhere. This was by far the best whale watching excursion I’d ever taken. Not only were the whales in every direction, but they were popping up very close to our boat. While we didn’t seem to be disturbing them at all, I was amazed at how close we were able to observe them in their natural habitat. We had a fantastic four hours exploring the bay by boat, searching for whales and puffins. The payoff was enormous as we saw so many whales and birds. It’s very important to the both of us that don’t have any sort of negative impact on animals as we travel. I’m confident that this is an environmentally-friendly sailing trip that doesn’t harm the wildlife. 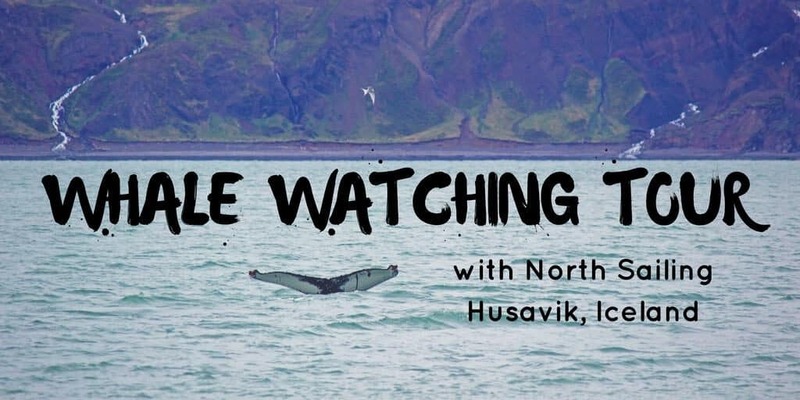 Here’s a short video of our Iceland whale watching tour. 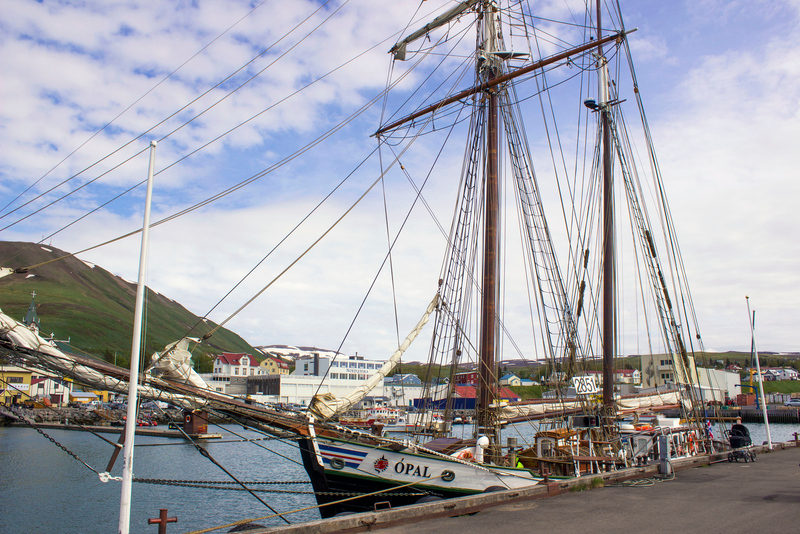 We highly recommend North Sailing in Husavik. 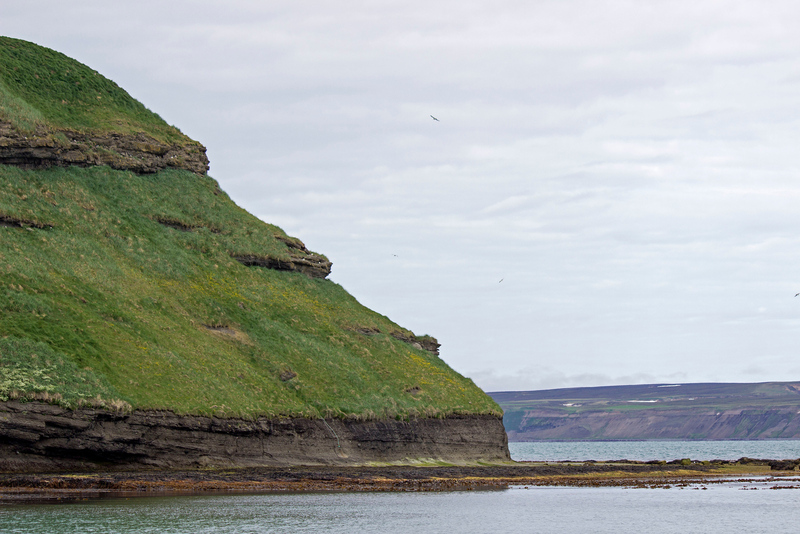 We visited Husavik in early June, though there are whale watching excursions from March until December. If you’re traveling between January and March, be sure to check out one of their northern lights sailings – something I’ve already added to my bucket list for next time! 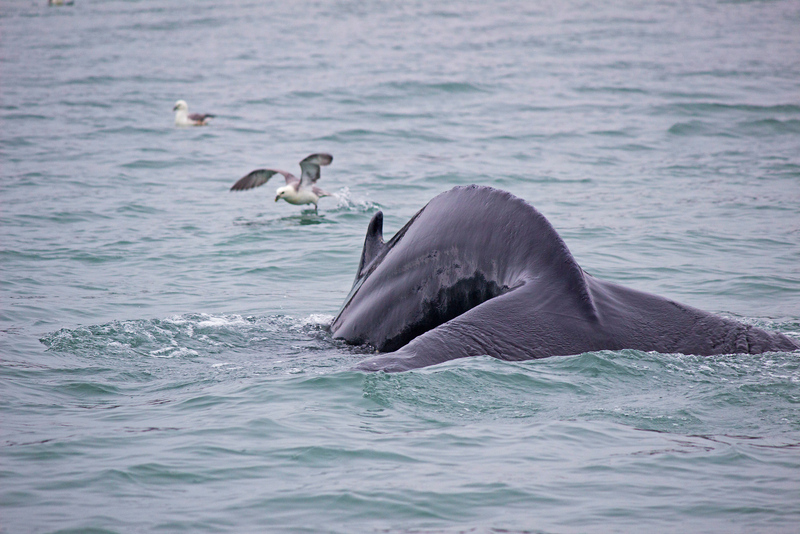 Interested in seeing more whale watching photos? 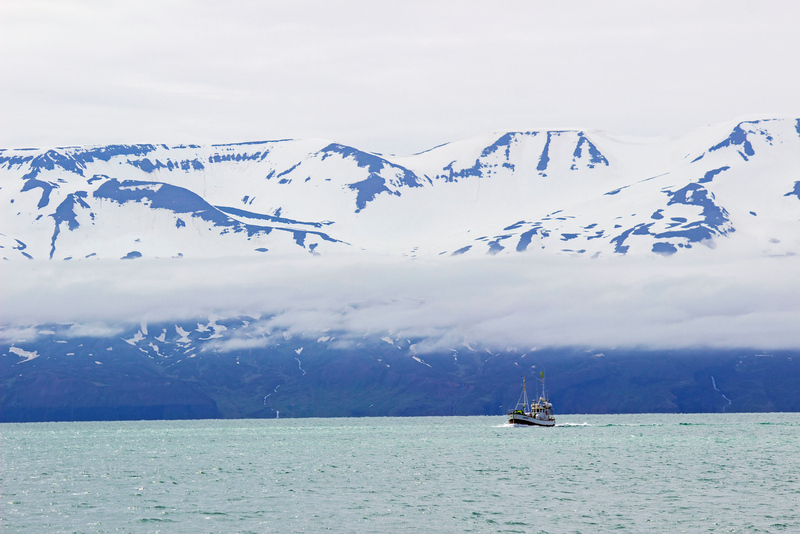 Check out our entire Husavik travel photo album! You can check out our pictures and even buy our photos as prints, color canvases, and housewares. Disclaimer: Thank you so much to North Sailing for hosting our tour. Our opinions, as always, are entirely our own. We had a fabulous whale watching trip with North Sailing and highly recommend it to everyone! I have never been whale watching but I would love to go. I’m adding this to my list of things to do when we make it to Iceland. I love how the tour company works in harmony with the whales. Hats off to them for thinking about every sentient being involved ;) Great stuff. This looks like such an incredible experience! I love puffins, I can’t believe how many you saw! I defintiely hope I get to do this one day!